If you only watch the video of the pageant you won't quite understand why Savannah is so emotional. She would probably not agree 100% with my explanation below about what exactly caused her to be so emotional, but I am confident what I describe below played a pretty large part in it. So I suggest you read the entire article before watching the video, but it's the internet, so do whatever you want to do. So my daughter wanted to enter the 2015 Miss Blythewood High School Pageant. This came as a pretty huge shock to me as a her dad, because she had never been the type of girl that I would describe as a "pageant girl." She was sassy, attractive, athletic, and really girly in the playful sense, but not in the traditional sense, if that even makes sense? What I mean is basically, she can rock a hair bow and look really pretty while simultaneously batting over .500 on the JV Softball team, and she doesn't own a dress but she loves fashion. Can you picture what I'm talking about? Not really a "Pageant Girl..."
Over the summer after her 8th grade year she was scheduled to have scoliosis corrective surgery. This was a HUGE ordeal. It would turn out to be a 9-hour surgery and she had 13 vertebrae fused to two titanium rods in her back. Recovery time before she could even swing a bat again would be six to eight months. She was an amazing patient and came through with flying colors. She was in the hospital bed for five days and then in her bed for three weeks. Movement came back slowly but surely and steadily she got "sort of" back to normal. She gained an inch and a half of height through the surgery. 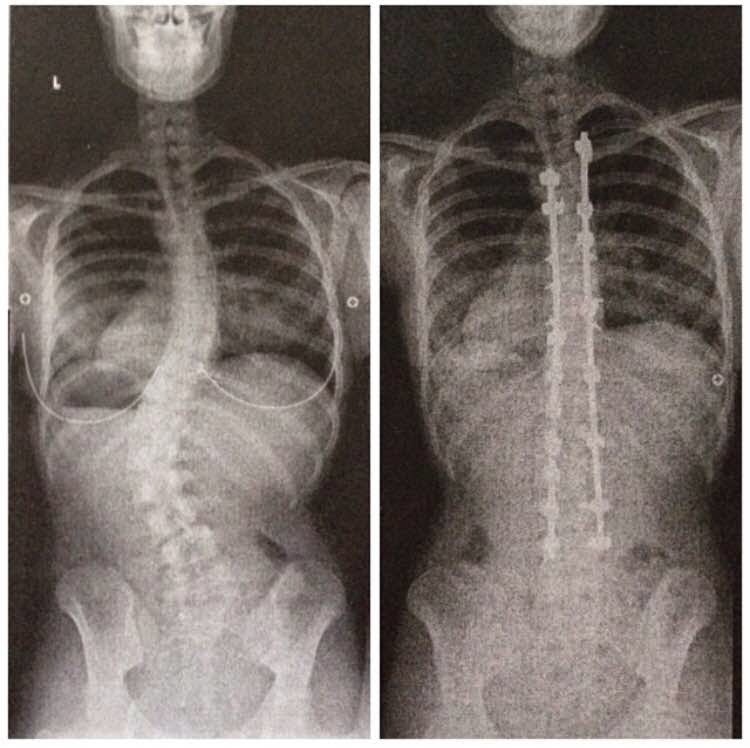 One of the main things Savannah was so upset about having the surgery was not the long recovery or the idea that her back muscles would literally be cut in half to perform the surgery, but that she was told by the doctor that because of the titanium rods in her back she would never be able to do the "worm" again. It was this news that gave Savannah the most angst. The doctor said she had too many vertebrae fused and that she wouldn't have the flexibility to do it. This hit Savannah pretty hard. Harder than I thought it would honestly. When she teared up upon the doctors words, at first I chalked it up to an emotional 14-year-old girl just being sad about having major surgery, but over time I realized she was very serious about a specific regret concerning the specific inability to perform the worm. It was like in her mind doing the worm represented her childhood freedom. It's hard to put in words but her regret about it was palpable. Savannah was determined to prove all of this wrong. So having a strong-willed child when she's a young little girl can be exhausting at times but as she grows up into the wonderful young lady she's steadily becoming that same strong will served her well. 9th grade rolled around. She attended every voluntary softball work-out that was on the schedule even though she could literally only sit on a bucket and watch the other girls as she occasionally ran an errand for the new coach. Five months went by and the doctor finally told her she could start throwing a little. Then an announcement in school was made that any girl interested in performing in the Miss Blythewood Pageant needed to audition that week. Savannah came home excited and asked if she could do it. My wife and I said, "Of course." Thirty girls or more auditioned and only ten of them were selected to compete in the Miss Grand Talent portion of the pageant. 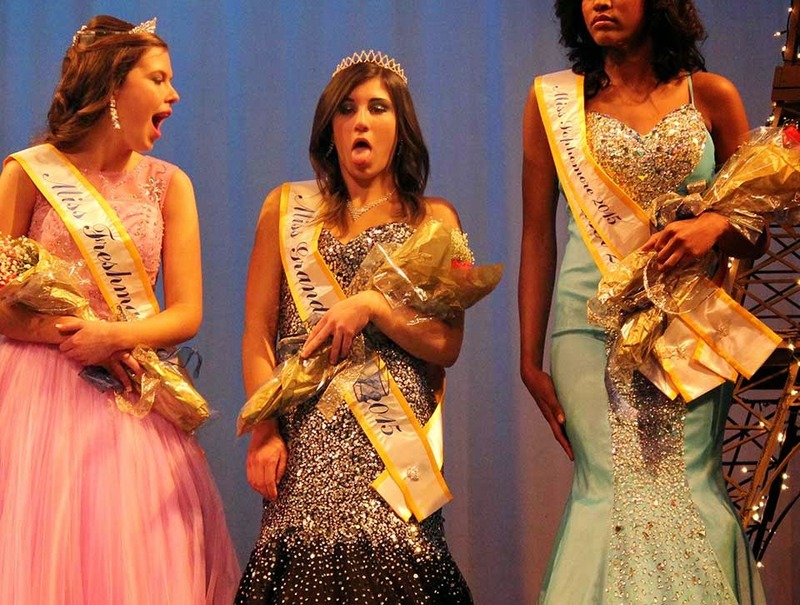 Oddly enough, not every girl in the Miss Blythewood Pageant performs in the "talent" portion of the competition. (Don't ask, I don't know the reasoning.) So Savannah would finally get her chance to rap in front of her classmates. She was thrilled. When she told her softball coach, the coach immediately started calling her, "Pageant Girl." Well in mid-December we went to the doctor and he told her because of her x-rays and her physical recovery and flexibility he was lifting all restrictions on her athletically. She could finally practice full speed. She was ecstatic! Of course, she didn't realize what this actually meant. It meant going to practice with a weakened back and arm muscles from the major surgery and not being able to throw but about fifty percent as well as she could just six months earlier. It also meant she could barely swing a bat at first. This was another blow to her morale. But then it happened. She and I were goofing around and she said, "Dr. Piehl said no athletic restrictions, right?" And I responded, "Yes, that's right." Then she said, "I wonder if I can do the worm?" And I said, "Let's not find out." I was picturing the $209,000 bill from the hospital that the insurance paid all but $3,000 of, but she was picturing the Miss Blythewood Pageant! Well three days later she came running down the stairs screaming about how she could still do the worm! We were all very happy. Then we had the conversation about how she wanted to write her bio a little differently from everyone else. She said everyone just usually lists a bunch of accomplishments and in her mind it just seemed a little boring. She wrote her bio (exactly the way you see it in the video) and showed it to me and asked, "Dad, what do you think of this?" I read it and said, "I love it. I think it's you all the way, honey. And rule one is if you're being authentic to yourself, then any decision you make like this is the right one." And I've learned one thing about my daughter. She is never going to be afraid to be herself. We as a family are just so blessed that her true self is such a beautiful kid on the inside. Maybe I didn't think of my little girl as a "Pageant Girl" but it turns out the judges of the Miss Blythewood Pageant disagreed. One of those judges was Miss South Carolina 2014, so I guess she knows more about "Pageant Girls" than I do! Oh and one last thing. You can follow my daughter on Instagram at www.instagram.com/savvysonny22 or on Twitter at www.twitter.com/savvysonny22. Below is a video of Savannah "being herself" in the Pageant during the "Question and Answer" portion of the competition. The instructions were for the girls to wear an outfit that reflected something about your personality. As you can see, Savannah has no problem being herself. And one more interesting video of Savannah impromptu rapping a little in the 7th grade at a softball tournament when the song comes over the loud speakers. This is two years before the Miss Blythewood Pageant.